Qualifying Round Finalists roster posted on this site. 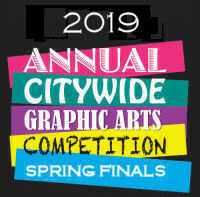 This Spring, graphic communications students from high schools all over New York City will come together at a college in Brooklyn to test their skills in the Finals of the eighteenth Annual Citywide Graphic Arts Competition. Seven competition categories showcase the talents of the students and the depth of their schools' graphics education programs. In a preliminary Qualifying Round in April, local competitions run by high school graphics teachers will select the best work in each category and submit the material on-line for judging. In the Finals at the CUNY College of Technology, competitors will get new assignments that they must produce entirely on-site within the four-hour competition time limit. Judges from colleges and industry pick the First, Second and Third Place winners in each category. Trophies and prizes are awarded to the Winners and to the First Place schools. 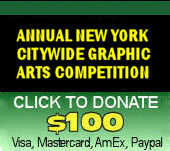 All New York City public high school students participating in a graphic arts program are eligible to compete. The theme for this year's Qualifying Round is "Unity." 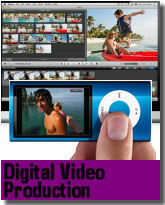 For the judging guidelines, click on the thumbnails for each category above. Teachers submit a maximum of two entries per school per category. 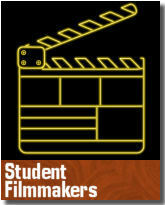 A registration fee of $200 per school is required for attendance at the Finals. See details.